Shredding for the wedding: Yes or no? 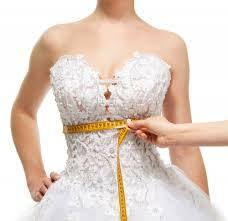 If you’re married, did you do anything special to slim down for your wedding? Matt and I are getting married in one month. (We got a marriage license last week!) For the last few months, anytime I didn’t devour a bread basket, I was likely to hear a comment related to bridal weight-loss. You know, “Are you not eating that because of your dress?” Or something like, “I noticed your awesome willpower. Your wedding is soon!” I’m not a shy person. And when it comes to food and fitness, I overshare (thanks for reading my blog, ya know?). So for the most part, I don’t mind the feedback or comments; I’m sure I provoke them to a degree. They’re also coming from well-meaning friends. On the flip side, as a feminist and a human in general, I want to say WTF. It’s kind of dark and ugly that we’re expected to get back to our birth weight on our wedding day. Let’s get personal. Am I on a massive wedding diet? I don’t know. Did I have 3 croissants on Tuesday morning because my office catered breakfast? Mais oui. But other than that, within reason, I’ve been trying to reign in my aggressive snacking. I’m not above the pressure many brides feel before a wedding. Thinking somewhat rationally, there are not many other occasions in a person’s life where all of your family and friends have gathered to watch you stand, front and center in a non-slimming color while a photographer (and maybe a videographer) and a hundred trigger-happy Instagram users snap your photo. So I get the desire to feel good about your body and why this moment can work as an effective goal date. Will I be my thinnest the day of my wedding? Probably not. I work out a lot. But food discipline isn’t my strong suit. About five years ago, when I first moved to NYC and had yet to form habits in my new home, I weighed bit less than I do now. Probably because I didn’t know where City Bakery was or maybe I just hadn’t set up a Seamless.com account yet. I don’t know if it’s noticeable to anyone outside of my mother, who like all good Jewish mothers, watches my every move like a hawk stalking prey (or some less lethal more loving comparison). In the bottomless hole of the internet, there are countless articles detailing the extreme things brides-to-be do in the pursuit of dropping a few pounds. This one was pretty drastic: In 2012, the NYT covered the story of a bride who, “spent eight days on a feeding tube, a process that costs $1,500 for 10 days.” It worked. She actually had to stop early because she was getting too thin. Pippa Middleton’s bridal bootcamp is getting a ton of press. I think we all agree she was near aesthetic perfection to start. So I’m curious. What did you do (if anything) to prep for your wedding? Please share your story in the comments. I decided to try and lose weight, for myself and my health and it coincided with my wedding, but it wasn’t FOR my wedding. I purchased my dress in my size at the time, and didn’t feel any stress or pressure to lose weight for the wedding. I’m a big fan of Weight Watchers because it teaches you how to make eating healthy a lifestyle, not a fad diet. And when you reach goal, if you’re able to maintain it (within a few pounds above/below), you don’t have to pay anymore. There’s also a social media section with hundreds of thousands of other people there to encourage you, help you, and motivate you. Highly recommended. I didn’t try to lose weight. I was already super into fitness and have a history of disordered eating, so I didn’t want to start down that path. Also, rather than a first dance my husband and I did a duo trapeze act (that’s how we met and we are trapeze partners), so maintaining strength was more important to me than slimming down at all. It’s obviously a very personal decision, but I do worry that unrealistic expectations can have negative consequences particularly for women.